→OxyElite Pro Review – Why OxyElite May Be Dangerous? OxyElite Pro Review – Why OxyElite May Be Dangerous? OxyElite Pro is a fat burner that combines the power of 6 different thermogenic ingredients, including caffeine, geranium and Bacopa Monniera. OxyElite Pro is manufactured by USP Labs located in Texas, USA. The thermogenic power of OxyElite Pro is said to assist with fat burning, appetite control and mood elevation. It’s also capable of boosting your energy levels, making exercising more effective and calorie-burning. OxyElite Pro is a pharmacist formulated weight loss supplement that targets weight loss by increasing the rate by which your body turns fat into energy. It achieves these results through thermogenesis, increasing your body’s temperature and therefore enabling your body to burn fat and energy more efficiently. Its manufacturers warn that OxyElite Pro is a very powerful weight loss aid that it can only be taken after your physician has approved it. Oxyelite Pro users complain that the supplement causes them to sweat uncontrollably, which is both uncomfortable and socially awkward. 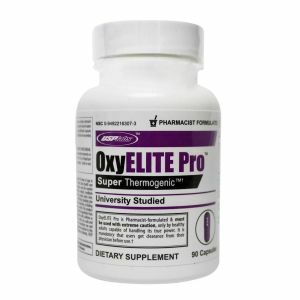 Due to its thermogenic power, Oxyelite Pro increases your overall body temperature. To counterbalance this sudden heat production, your body naturally resorts to sweating, a cooling off mechanism. Warning – Latest News In! In November 2013, FDA has asked Dallas-based company USP Labs to recall and destroy OxyElite Pro due to a series of reports on OxyElite Pro causing liver damage and non-viral hepatitis. Sadly, one person has died due to taking Oxy Elite Pro and several others are awaiting liver transplant because of the acute liver failure the supplement has caused. Aegeline is more likely the ingredient causing these severe side effects. Aegeline can be naturally extracted from the Asian tree Bael, but there are concerns that OxyElite Pro didn’t include any natural Aegeline compound but rather a synthetic version of it. What’s more, aegeline is not considered safe due to lack of clinical evidence on its safety and toxicity. Dimethylamylamine is a decongenstant/vasoconstrictor, it reduces the size of blood vessels and slows down blood flow in your body. Combining exercising with dimethylamylamine might lead to elevated blood pressure and other cardiovascular conditions. OxyElite Pro is a fat burner, particularly popular with body builders who wish to control their body fat percentage without losing valuable lean muscle. Due to the recent FDA recall, it is advised to opt for other safer and closely regulated weight loss supplements to ensure that your weight loss won’t put your health at risk. Recently a 22-year-old man, Kenneth Waikiki had a liver transplant. After one month of taking Oxyelite Pro, the Hawaiian man experienced liver failure forcing him to have a liver transplant. Along with Kenneth Waikiki, others are suing USP Labs as well for circulating a potentially harmful weight loss supplement. PROs – Powerful thermogenic formula with Caffeine and a Proprietary blend that includes Rauwolfia Canescens, Bauhinia Purpurea, Bacopa Monniera, Geranium (dimethylamylamine) and Cirsium Oligophyllum. CONs – FDA recalled it due to a death and acute liver failure caused to several others. Many users are awaiting liver transplant and suing the company. Conclusion – Should You Take OxyElite? 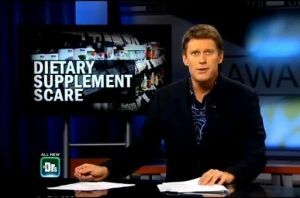 The health supplement market has an abundance of slimming pills and this is not always a good thing. Many manufacturers include not-tested or banned ingredients. Others yet use ingredients that are disguised as natural but in fact are lab-created, putting people’s health at great risk. Given the numeruous side effects including the liver failure cases in OxyElitePro users, it’s highly recommended to avoid taking this supplement and replace it with safe alternatives giving more significant fat loss results. What Is A Safe Alternative? 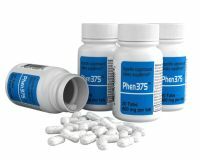 If you wish to lose weight safely and without any risk of compromising your health, there are thankfully many safer alternatives such as Phen 375. Phen 375 is created by an established and trusted manufacturer RDK GLobal and has been in the market for several years. It has an enviable customer success stories other supplements failed to have.